Black Box, part of EA, has recently announced the closed beta for Need for Speed World, the MMO racing game has begun.Thousands of players will have the opportunity to participate in the beta over the course of the next few months. World will be the first MMO racing title and will provide a new experience to fans of the genre providing a new power up system and RPG style progression. 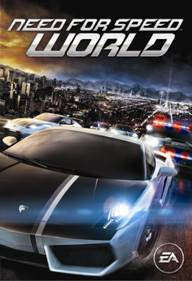 This title also takes 150 miles of of open world racing from environments found in the Most Wanted and Carbon titles. You can enlist for the beta now at world.needforspeed.com.